Although Simon Reynolds has clearly expressed a far-reaching disbelief regarding the compatibility between popular music and museums in his book Retromania, Pop Culture’s Addiction to Its Own Past, the exhibition of popular music themes is becoming an increasingly common project for museums across the Western world. In addition to a number of already existing museums, 2016 is expecting the opening of at least three new museums focusing on popular music themes, namely Danmarks RockMuseum in Denmark, the Grammy Museum in Mississippi, USA, and the National Blues Museum in Missouri, also in the USA. Such dynamism has given rise to significant discussions and publications focusing on the issues of the representativeness and exhibitability of popular music among those involved in both music studies and museum studies. Among other things, these discussions have been providing an underlying basis for the exhibition of, above all, musical sound. In addition to considering the longstanding prerequisite of silence in museums as part of an overly simplistic ontological vision, this literature also advocates the exhibiting of musical sound in such a way as to parallel the vibrancy of popular music, to use nostalgia as an engagement strategy, and to provide visitors with embodied and affective experiences, while also taking particular care that different sounds do not bleed in exhibitions. Although this literature has deemed the issue of exhibiting musical sound to be central in current heritagisation initiatives, a recent article by Sarah Baker, Lauren Istvandity, and Raphael Nowak, The Sound of Music Heritage: Curating Popular Music in Music Museums and Exhibitions, draws on in-depth interviews with the popular music curators of a significant group of popular music museums to demonstrate that the practice does not find favour in the same way among academic researchers and popular music museum curators. Museum curators actually stress the material dimension of popular music, foregrounding the relevance of the exhibition of such aspects as record sleeves, garments and memorabilia. It is also remarkable that in terms of the exhibition of musical sound, museum curators have somehow rendered the effects of sound bleed irrelevant for exhibitions addressing a theme such as pop-rock music. I am a true advocate of the exhibition of musical sound in current initiatives and I will continue to be so, although this in no way means that I am against also exhibiting material culture. Let’s be clear about something: popular music is music and, most of all, part of human expression and so it seems to me that the museum must primarily use music to address musical subjects – which again does not mean the exclusion of material artifacts. 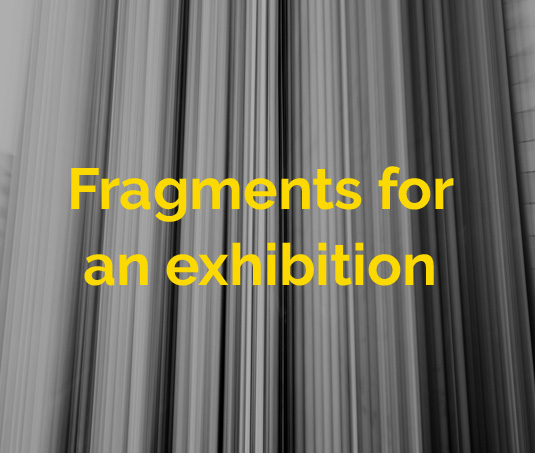 Music studies has provided us with plenty of key dimensions to touch on in exhibitions beyond that of the crucial historical moments and musicians usually explored by means of material culture. I believe it is time for museums to use music to provide narratives that challenge us about the way we interact with popular music and that stimulate us to think about how we might become more nuanced and informed listeners, while also providing links between how we hear and what we do, to mention only a few possible themes. With regard to those academic accounts that focus specifically on the exhibitability of musical sound itself, they range from trying to figure out problems regarding sound bleed to discussing which technological settings – sound booths, sound domes, directional speakers, headphones, etc. – need to be used in order for visitors to be able to engage meaningfully and appropriately within museum settings. Problems regarding the use of specific hearing interfaces such as personal headphones vs. regular speakers are frequently mentioned in relation to ideas that popular music should be experienced in museums communally. In fact, headphones are frequently mentioned as effectively solving the problem of sound bleed but also as restricting visitors to extremely private experiences, which is not necessarily welcome in the contemporary museum contexts; on the other hand, the use of technical devices such as regular speakers may provide more communal experiences, as is currently expected from the contemporary social museum, but this gives rise to problems regarding sound bleed. Given this kind of dilemma, a possible guiding principle could be to make such decisions based on an exhibition’s narrative and its fundamental purposes, rather than based solely on the requirement to deliver communal sound experiences. Popular music has the capacity to engender both modes of privacy and publicness by promoting the self through emotion and nostalgia and by enabling us to create connections. Accordingly, should not the decision in each specific exhibitive instance be based on the need to provide either a principally private or a principally communal sound experience so as to more meaningfully fit in with the dimension of popular music that the narrative is addressing? The idea that we always have to pursue a communal sound experience for museum exhibitions regarding popular music means, it seems to me, a too strict social understanding of the museum. It also means that the curators are considering the effects of technical devices separately from the narrative of the exhibition, which does not actually correspond to the role that popular music plays in real life, where sound and its human uses are completely intertwined. In fact, I see no objection to providing only private or only communal sound experiences or a mixture of both, as required to fit in with the narrative. Furthermore, adopting the approach of considering which perspectives and dimensions of popular music are best suited by a principally private or communal sound experience might also work as a prompt for curators to develop and deliver new narratives focusing on information about popular music that is perhaps less well-known to the lay visitor. Museums focusing on popular music themes and experience centres include: in Europe, the Rockheim Museum and the Popsenteret in Norway, the British Music Experience in London, The Beatles Story in Liverpool, the Museo del Rock in Barcelona, Spain, the Swedish Music Hall of Fame and Abba, The Museum in Sweden, the RockArt Museum and the Nederlands Instituut voor Beeld en Gelluid in the Netherlands, and the Reykjanes Peninsula and Tónlistarsafn Íslands Museum in Iceland; in the USA, the Country Music Hall of Fame and Museum and the National Museum of African American Music in Nashville, the Rock and Roll Hall of Fame and Museum in Cleveland, the Georgia Music Hall of Fame in Macon, the Experience Music Project (EMP) in Seattle, and The Grammy Museum in Los Angeles; in Australia, the Melbourne Arts Centre in Melbourne, The Powerhouse Museum in Sydney, and the Australian Country Music Hall of Fame in Tamworth. I am currently working on an exhibition to be held online and would love to hear about your personal experience with music. 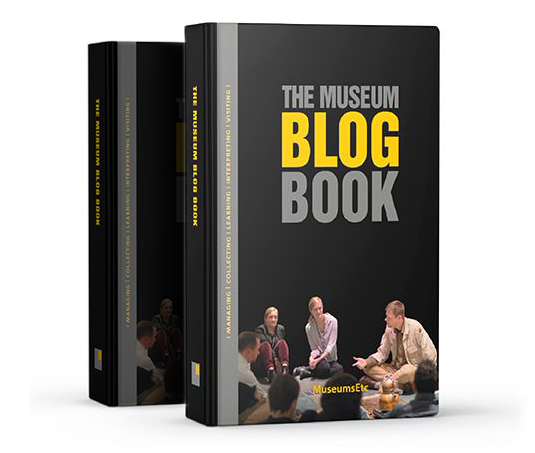 Objects of Sound has been selected for The Museum Blog Book, a MuseumsETC’s publication that brings together a selection of blogs, which reflects fresh thinking and practice in and about museums.